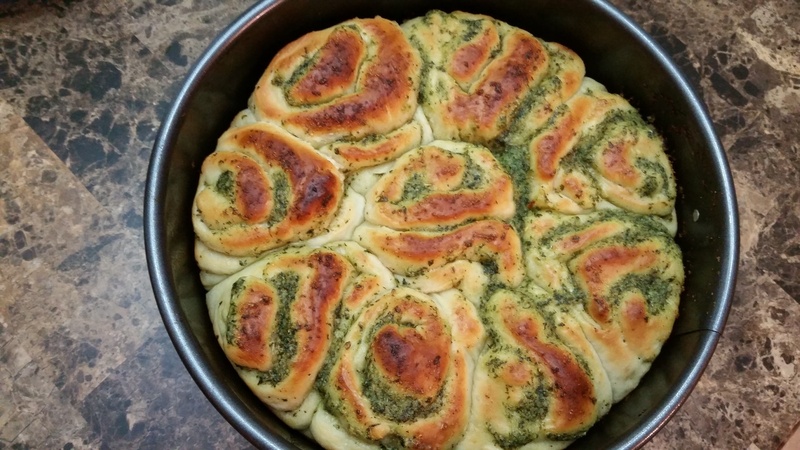 Aromatic flavorful Garlicky Herb Rolls baked golden with a soft cottony to-die-for texture, that will leave you begging for more!! 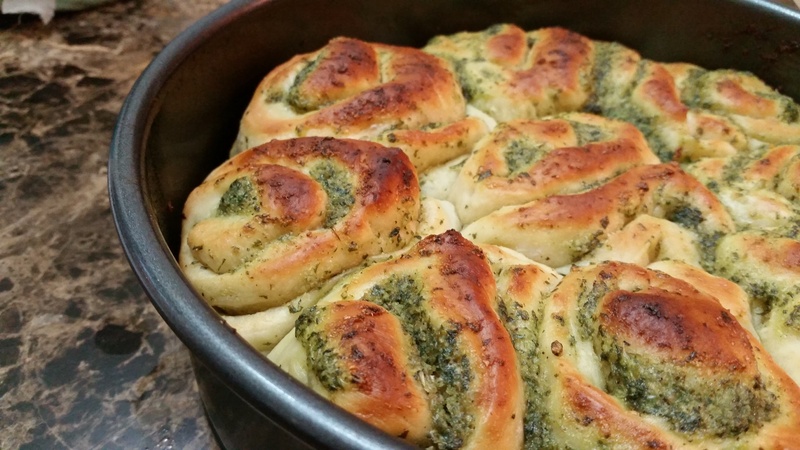 These rolls are for those special occasions, when you throw caution to the winds completely…. 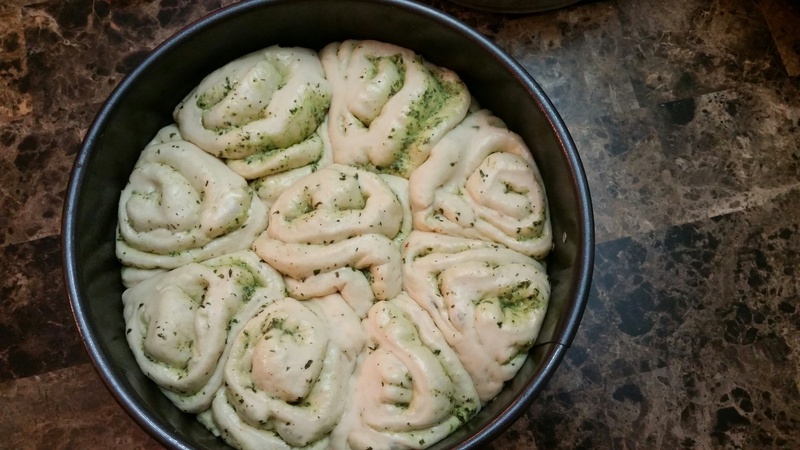 And joyfully indulge….Mmmmm heavenly! 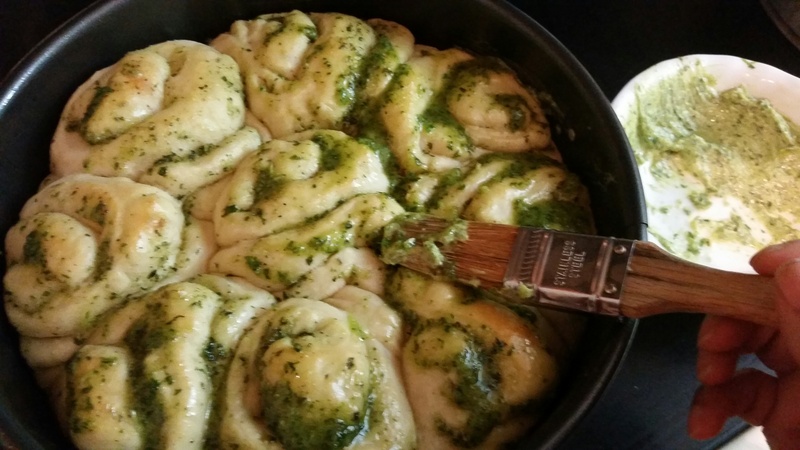 PS: Remember to make a big batch, for they tend to disappear fast! 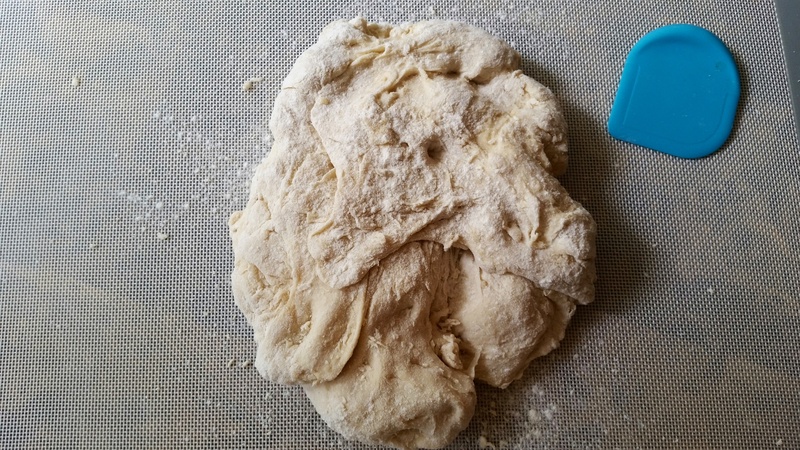 Some extra flour for sprinkling. 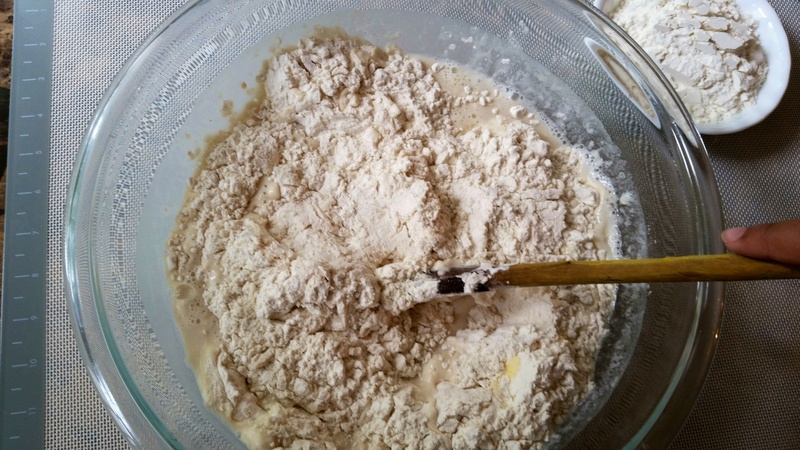 Empty out some flour in a mixing bowl. 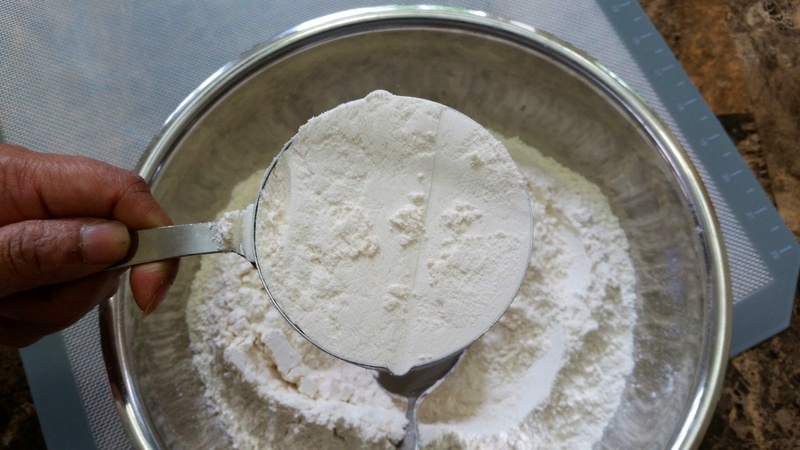 Using a spoon or whisk, aerate the flour by whisking it. 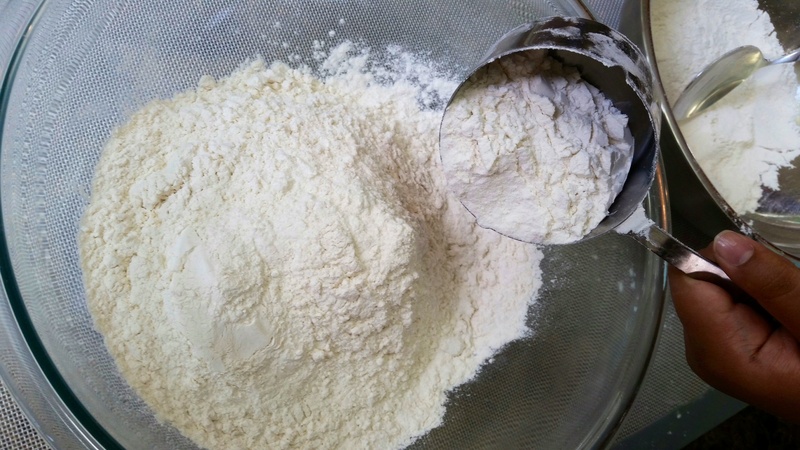 Now measure out 5 level cupfuls of the aerated flour in another large mixing bowl. 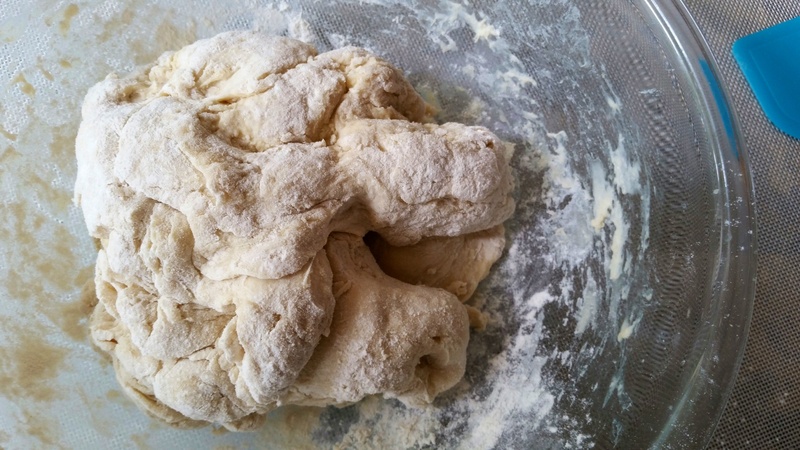 Add the salt, sugar, yeast, butter and milk powder to the measured flour. Add the 2 cups of Luke warm water. 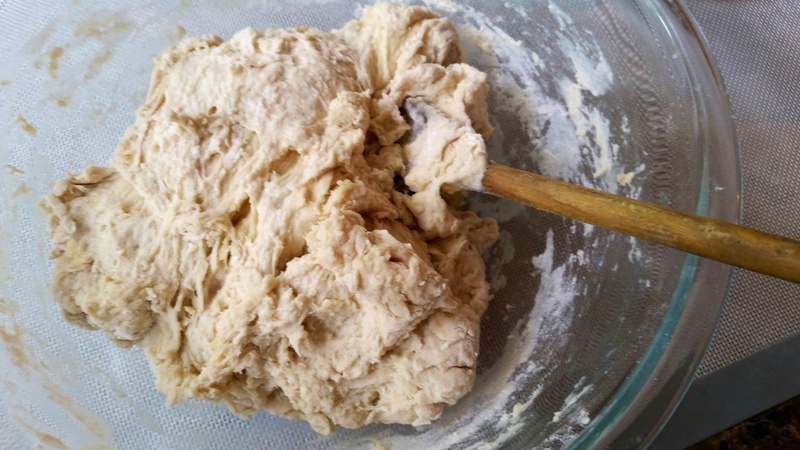 Using a wooden spoon, slowly bring the dough together. 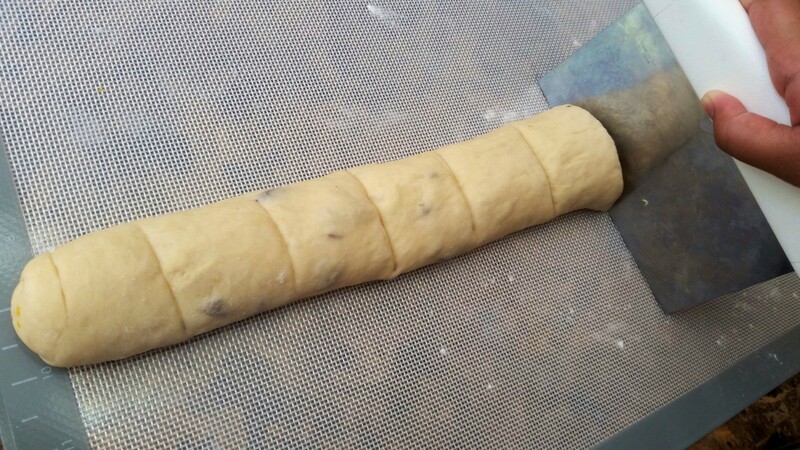 At this stage the dough will look rough n shaggy. 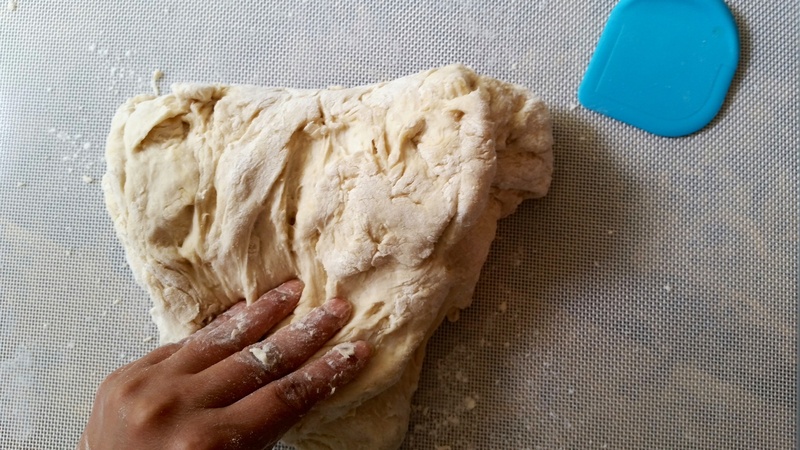 and flip dough onto work surface. 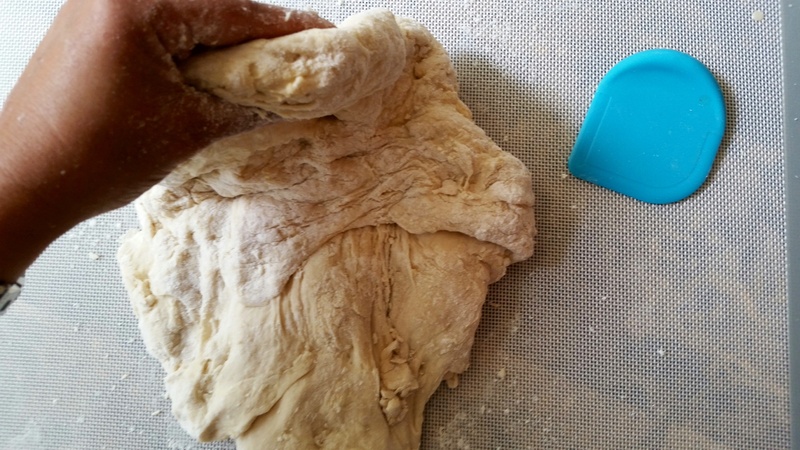 and fold to meet bottom corners. 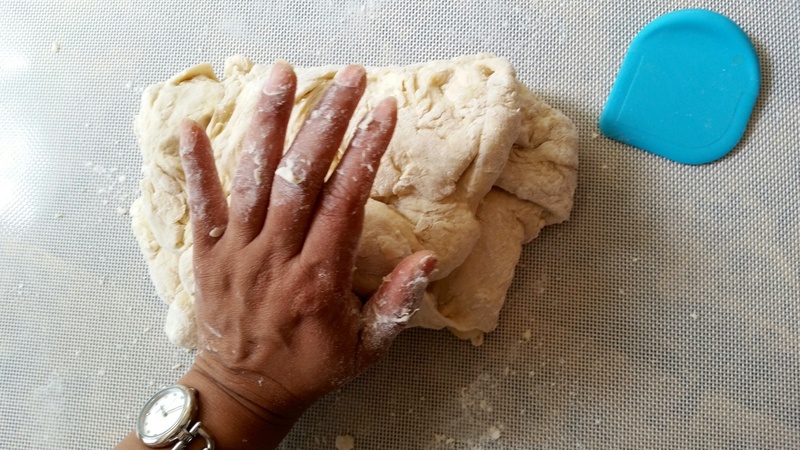 Using palm of your hand gently push dough back. 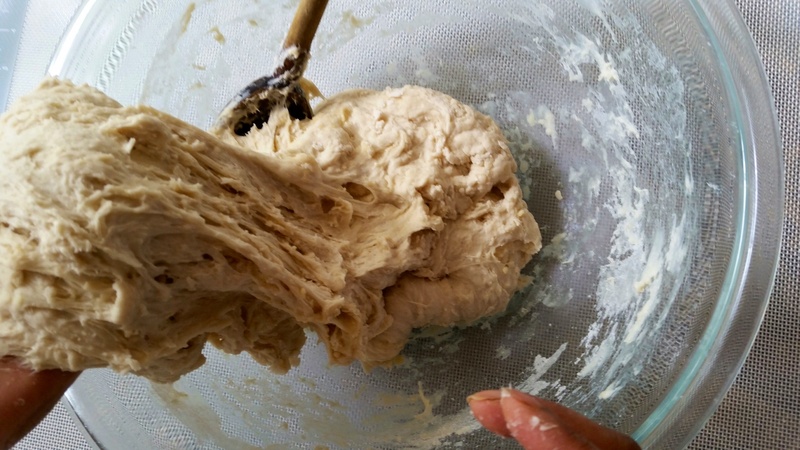 and pushing dough for the next 4-5 minutes. 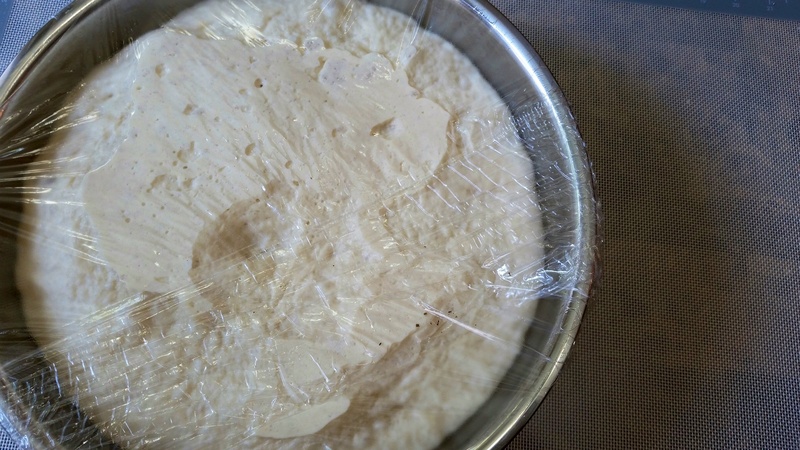 Now mid-way cover dough and allow to rest for 10 minutes. 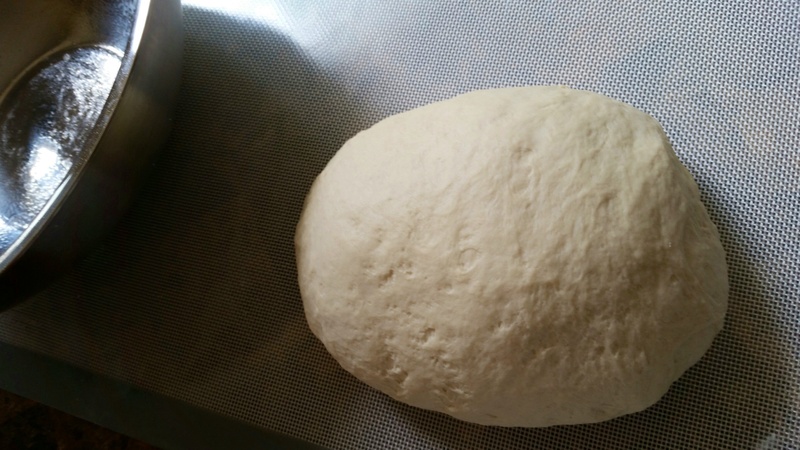 Once again, fold and push dough for another 4-5 minutes, till it resembles a smooth ball. 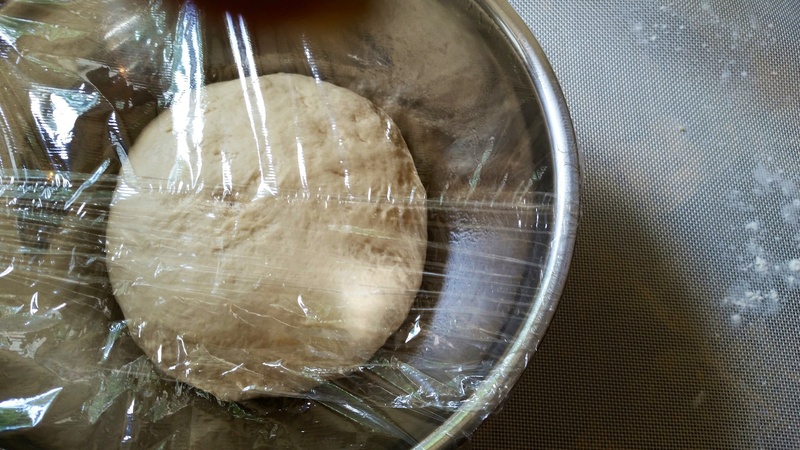 Transfer dough to the bowl, cover with plastic wrap. 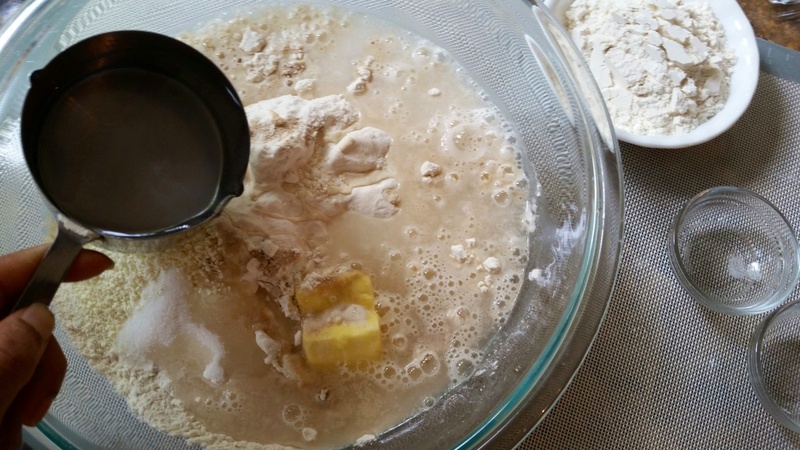 Allow to rise for 1 hour or till it more than doubles in volume. 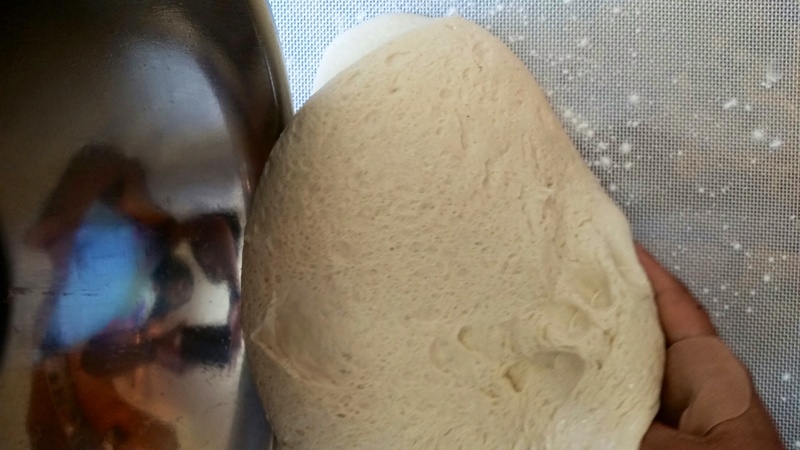 Once the dough doubles, transfer dough to a lightly floured surface. 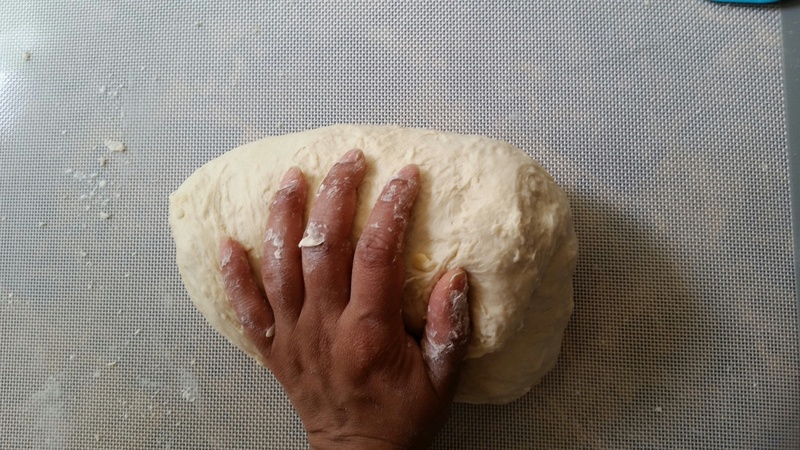 Lightly pat with fingers and flatten. 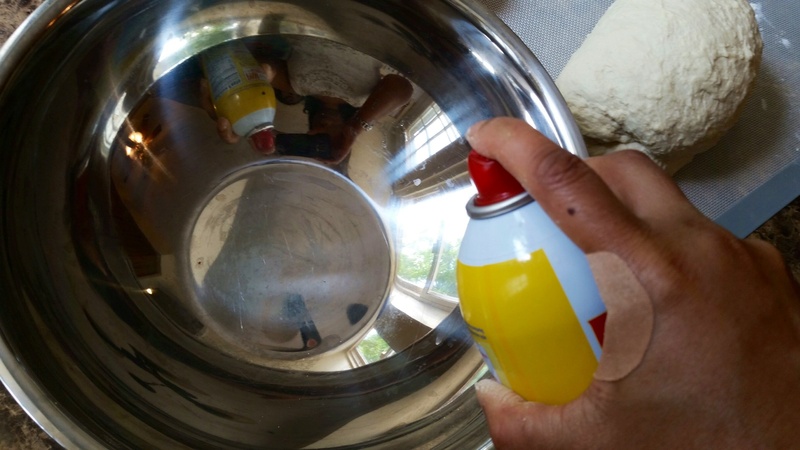 the entire section is rolled into a uniform cylinder, with the seam tightly pinched close. Now flip roll so that seam side faces down. 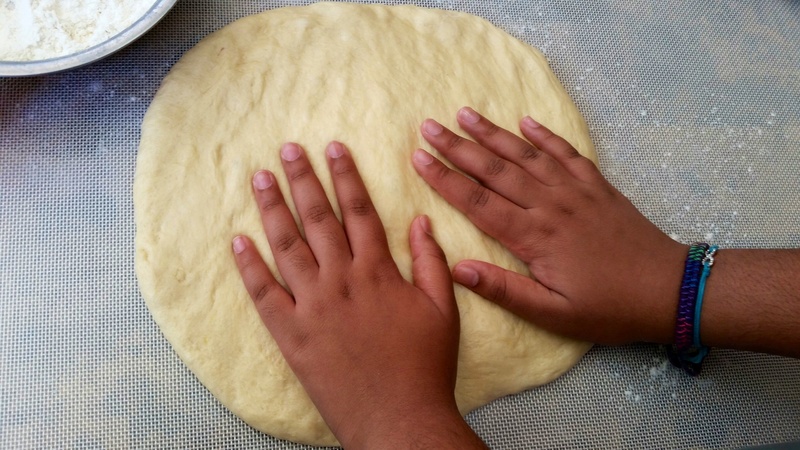 Gently roll the dough with your hands to make a thin uniform cylinder. Mark and cut into 16 uniform pieces. 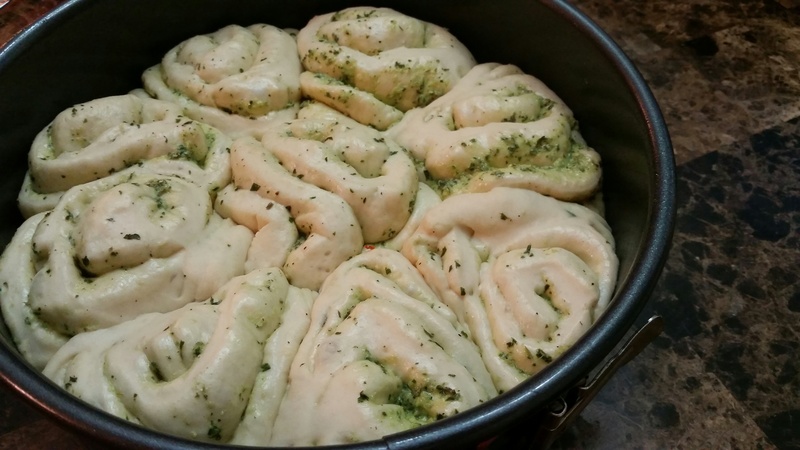 Place the pieces snugly against each other in a greased cake pan. 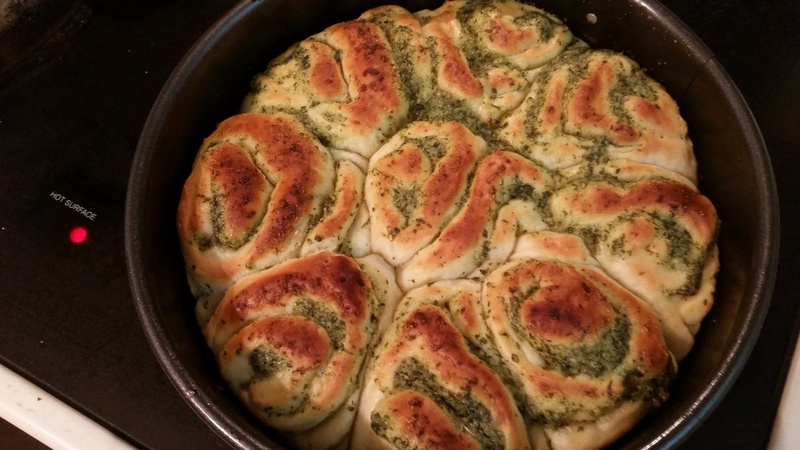 This pan fit 9 pieces. 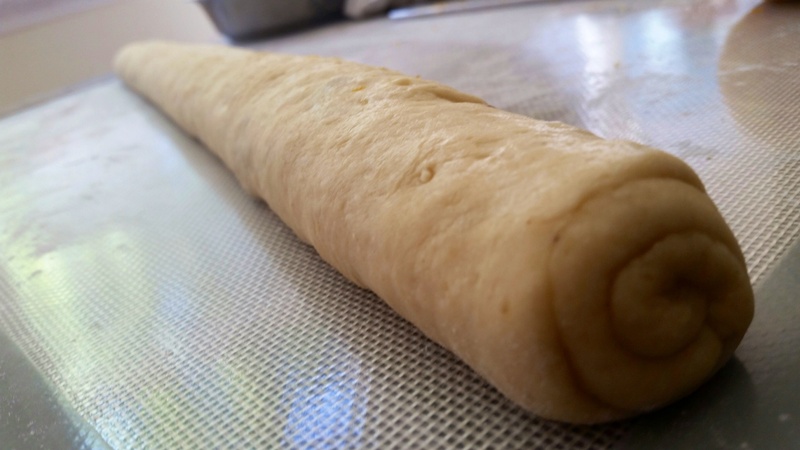 Allow them to proof for about 20 minutes, till they puff up nicely. 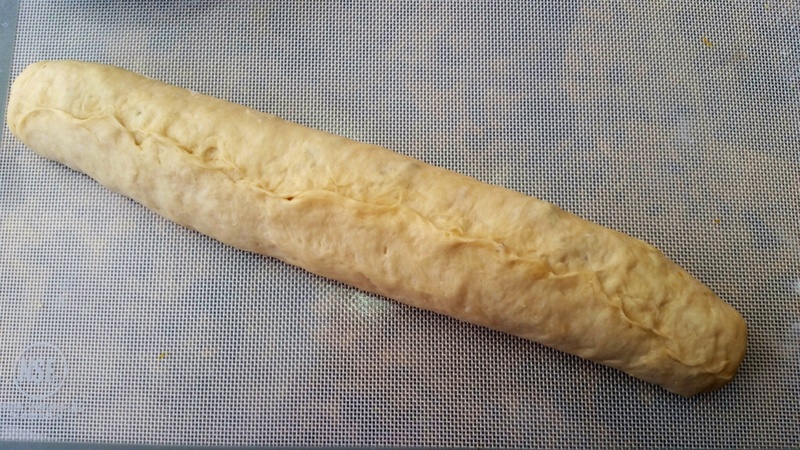 Place the pan in a 375F preheated oven for about 25 minutes. 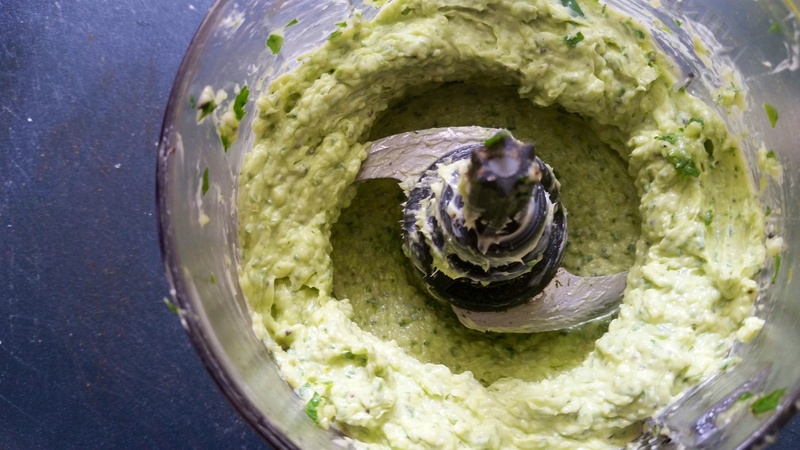 After 15 minutes, brush liberally with some more herb butter. 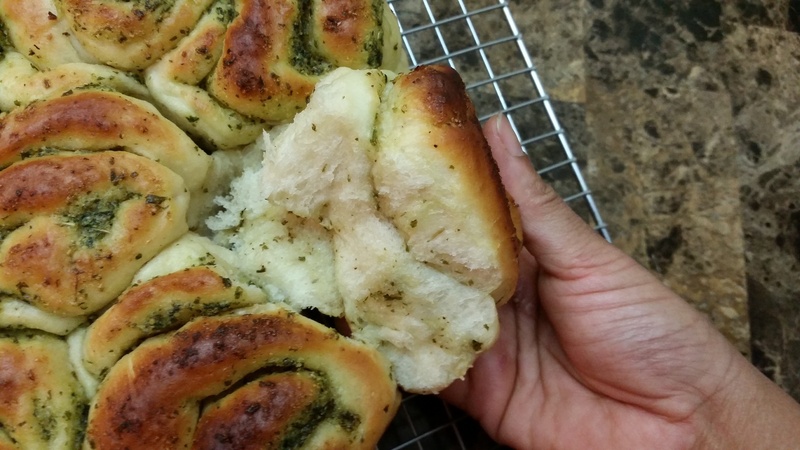 Increase heat to 400F and continue to bake to get a nice golden crust on the rolls. 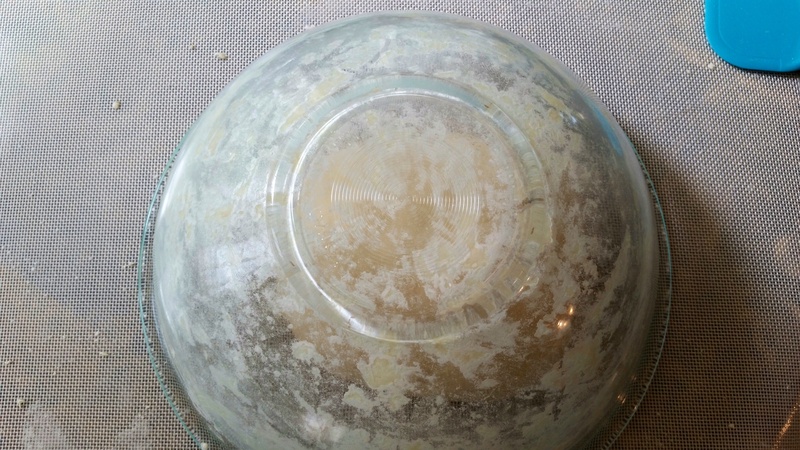 Allow to cool on a wire rack for 15 minutes. 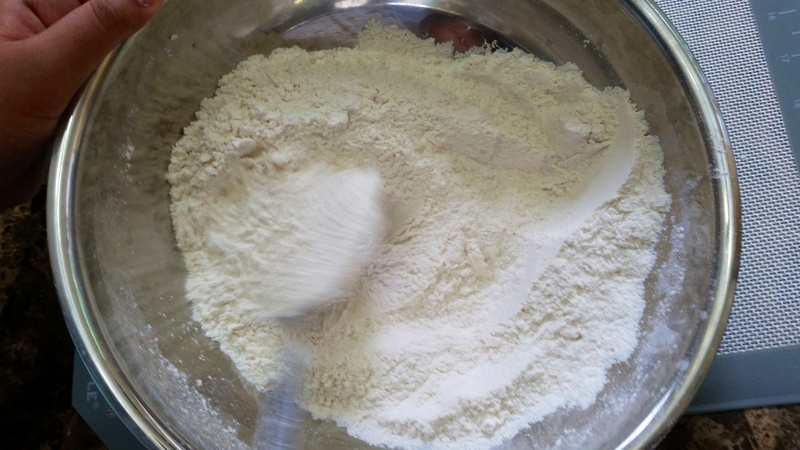 Hi.. is there a substitute for milk powder? like milk? 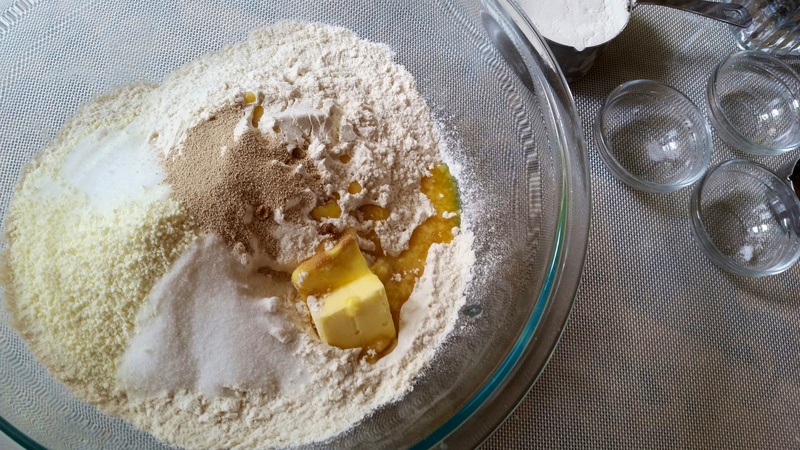 can we use multigrain flour? 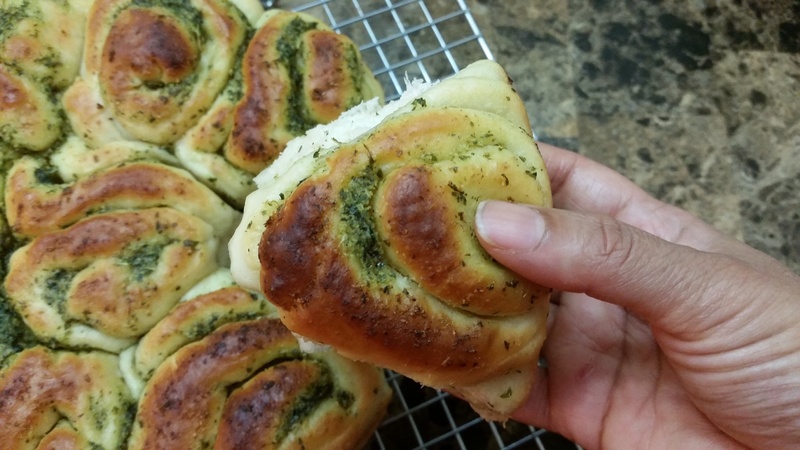 Hi Ruchi I tried this and it came out very nice……only one change I made is I took one and half cup whole wheat atta and one cup all purpose flour. 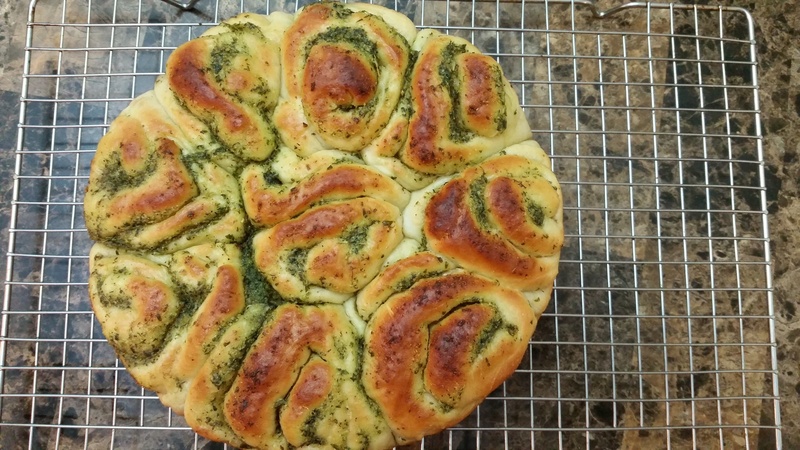 It came out nice and kids loved it…. 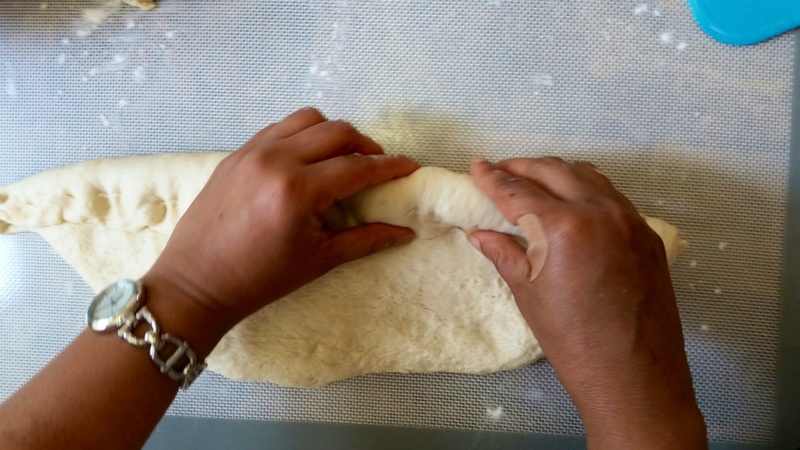 Ruchi, is it ok to use regular store bought pizze dough instead of making dough at home? Do you think texture will be the same? Yes. 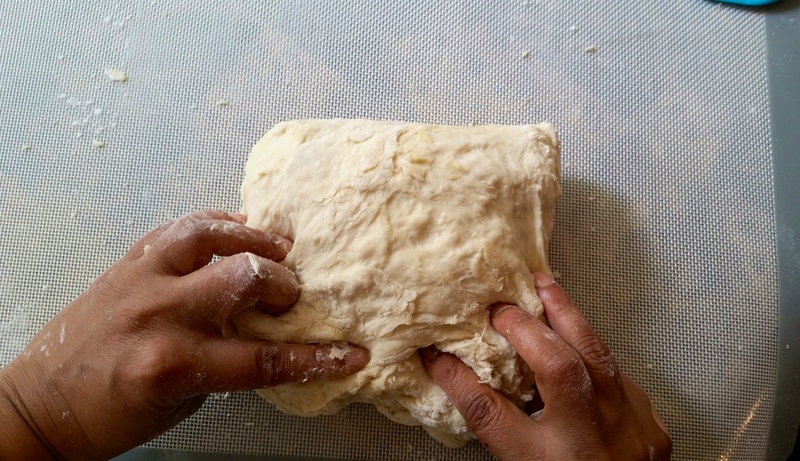 You can also buy dough from your local pizza place.